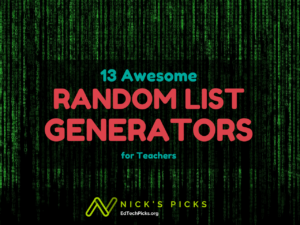 It might not transform learning, but a good random list generator is a tool that every teacher should have readily available. Generate a list of random, everyday objects to create writing prompts. Make a random list of animals to research or write about. Need a way of assigning countries to research or represent? You can get a random list of them, complete with flags. Comparing demographic data for locations in the US? Eliminate bias by generating a list of random zip codes. These are just the first things that came to mind when I came across RandomLists.com. I’ve previously written about random name pickers, random name selectors, and tools for creating random groups of students, but those sites all focus on randomly selecting or sorting a list of names entered by the teacher. Random Lists is a handy tool for generating random lists: animals, addresses, things, countries, words, movies, zip codes, girl names, NBA Teams, email addresses, songs; and of course a random team generator. I’ll highlight a few random generators that I think could be handy in the classroom. Randomly assign different animals to research. 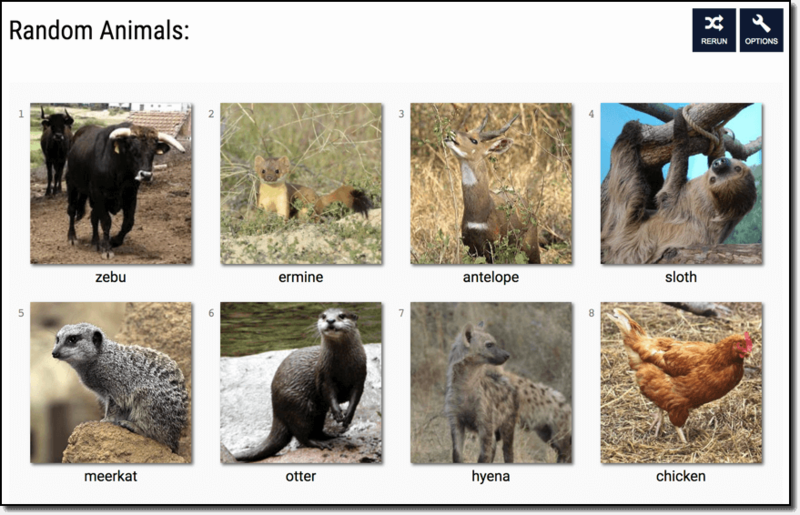 The generator pulls from more than 200 species, complete with pictures of every animal. 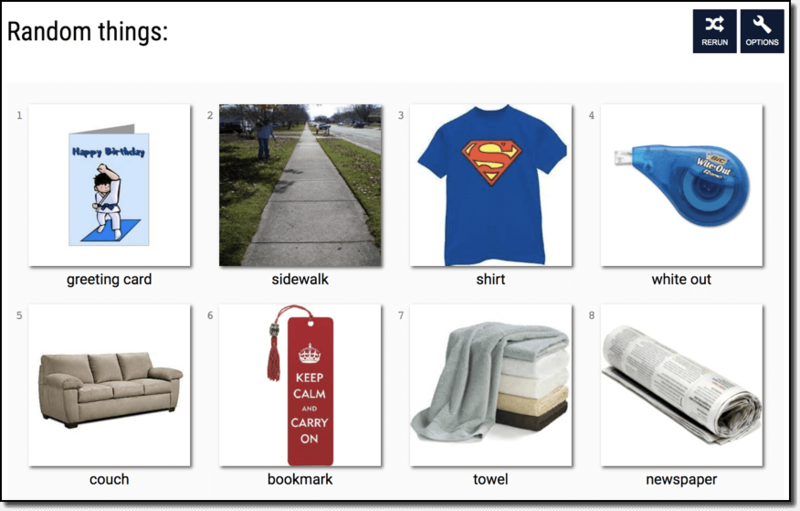 Generate a list of everyday objects, from whiteout to sunglasses. A great way to generate writing prompts, or maybe even a scavenger hunt. Take your writing prompts to a whole other level by generating a random list from more than 2500 of the most common English words. You can even filter by part of speech (nouns, verbs, adjectives, prepositions, etc.). Randomly assigning countries can be used when researching countries, comparing climate, identifying biomes, etc. 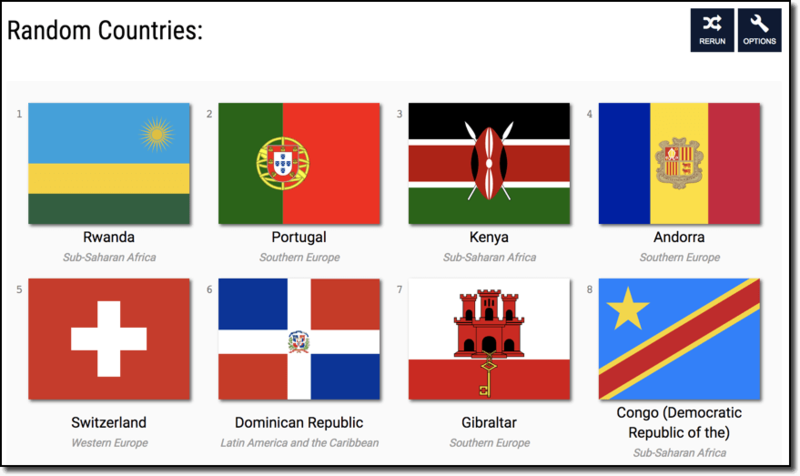 Countries are listed with their respective continent and flag. Random zip codes can be handy when students are gathering demographic data to compare. My Environmental Science students always researched life expectancy (and needed a sampling of the U.S.), we also looked up data on people’s access to fresh food and correlated it with any number of other factors, health statistics are also great to compare. Paste a list of your students and have them assigned to groups. Create a random list from anything that you can copy and paste into the Custom List Randomizer. What are Your Ideas for Using Random List Generator in the Classroom? I’d love to hear them. Please share them in the comments below or on Twitter.